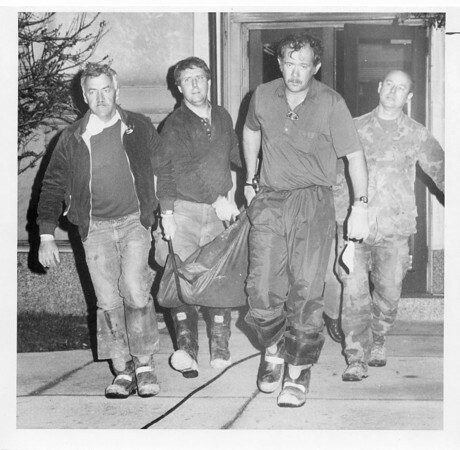 4/15/87 Howard County Courthouse bomb. Photo by Paul Sancya. KPD members take Robert Cray's body out of Howard County Courthouse at 2 a.m. Wednesday.